A Robert Lewandowski goal handed Bayern the lead in the first-half, which they held on to until 61st-minute when Dusan Tadic equalised for Ajax. The Serbian forward then added another through a penalty before his Ajax team-mate Maximilian Wober and Bayern’s Thomas Muller were sent off. Then, in the space of eight minutes, three goals came in with two coming from Bayern to hand them a temporary lead before Nicolas Tagliafico’s last-gasp equaliser for Ajax. While the draw was enough to confirm Bayern as Group E winners, Neuer was left to rue the bitter end after conceding so late in the game. 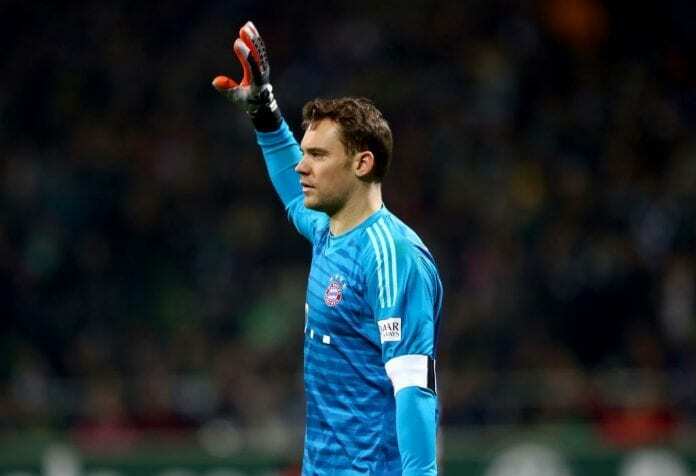 “Taken altogether it was a hard-fought and passionate match,” Neuer told the club website. “Ajax are a good team, we saw that in the first match. We had our chances, especially in the first half, we should have scored a few more goals. Bayern will next face Hannover 96 away on Saturday in the Bundesliga.